Dress-market is definitely the way I'll buy clothing again. My experience has definitely made me want to explore the other categories that they have and buy more from them. I wont lie, at first I was a little hesitant to order from hebeos: my friends and I were unfamiliar with this overseas company and ordering clothing online has always made me nervous. 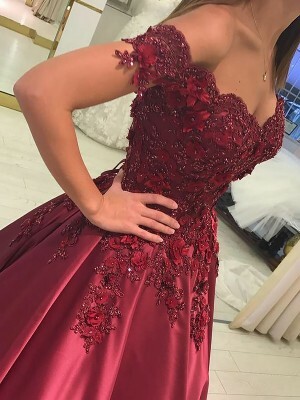 However, after seeing a handful of positive reviews and having completely fallen in love with this dress, I decided to order it.This was the best decision I could have made.The dress arrived very quickly.The dress fits like a glove, and was extremely high quality and craftsmanship. Not only did hebeos provide a great product, but excellent customer service as well! 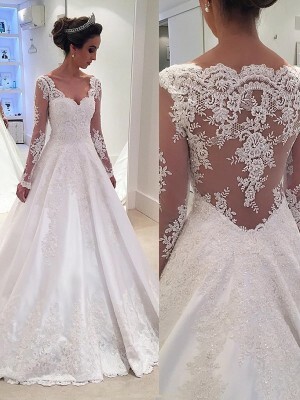 This dress is really beautiful, I ordered it for my engagement part with custom size and it fitted perfectly. They were really efficient in delivering the dress on the promised date. The only thing I can change is the length of the train it was too long so I had to shorten it a little bit. Other than that it is amazing! My experience with hebeos was truly fantastic.They made sure my order was packaged and ready to be shipped before my order was even done processing so that there was no delay when it finally processed. It was obvious they wanted my business and did a great a job of showing me that with their great customer service! My order was shipped to me very quickly.It's no wonder that I will definitely be using them again when I plan for future purchases!